Numerology is considered the study of the energetic value of numbers and also their value in letters. However, there’s also a divine connection between the weight of numbers and your birthday, name, and events that will happen in your life. Each number carries a vibration, and the number five is the most dynamic of all. The number five in Numerology is one of the most interesting and dynamic of all of the cardinal numbers, (the single digits, 1 through 9). The 5 possesses a strong vibrational frequency mixed with many strong characteristics, including: freedom-seeking, rebellion, adaptability, pioneering, innovation, adventure, idealism, restlessness, independence, and most of all: change . The number five gives off the most active frequency of all the single-digit numbers. What is most intriguing about the number five, is that it possesses nearly equal parts of both masculine and feminine energy – the only cardinal number to do so. However, even though it’s a mix of masculine and feminine traits, the 5 is normally found to hold a stronger feminine side with many daring attributes. 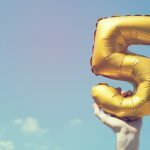 The naturally compelling qualities of the 5 are one with a very bold side to them – the number five emanates an energy of unpredictability, always being in motion and craving change. This number not only craves change, but enjoys it. And due to its flexible and adaptable nature, this energy takes on change fairly seamlessly. It adapts instantly to unexpected change – however, with the 5, that change was probably planned all along. The 5 reflects a vibrational frequency that revolves around prioritizing freedom of any kind; constructive, personal, and that of the collective. As the number five indicates rebellious properties, being a conformist within society or adhering to rules that do not condone individuality are simply ignored. The expansive traits of the number five are relevant to all things involving belief systems and boundaries, such as government, societal, religion, and educational settings. The number five has a shape that in and of itself is self-explanatory of its intrinsic, lively energy. It can almost be described as a whirlwind that is constantly in motion. If we compare the shape of the number 4 to the number 5, the difference is evident. The energy of the 4 is practical and stable… like thinking of a square. The 5, however, is seemingly aimless with traits of randomness. Think of a 5-pointed star and how you might draw or trace one – it is literally all over the place! That can easily help to indicate the internal energy of the number five. The fifth sign of the astrological zodiac is Leo. This fixed fire sign vibes strongly with the Number 5 – Leos possess a confident enthusiasm and bursts of energy. They have a strength for idealism that sparks a fire under anything, whether to jumpstart a process or a change. Another fact that should now be obvious, is that Leo also rules the 5th house in natal astrology! Leo has a vibrant and charismatic energy that makes them legendary. With a larger-than-life demeanor, Leo is depicted by the symbol of the Lion. The lion has a loyal and confident personality, and we all know never to mess with a lion. Not so coincidentally, regarding zodiac traits, Leos are the same way as the 5 – dynamic. If you attempt to back a lion (or a Leo) into a corner and force them to do something they don’t want to, they will reveal their strong and rebellious ways quicker than you can blink. The fifth card in the Major Arcana of the Tarot deck is The Hierophant. This man can be seen as the counterpart of the High Priestess. The visual of this card makes its meaning obvious in a semi-complex way. The Hierophant’s scepter is reflective of the control he possesses over the three realms – mental, physical and spiritual. He’s able to keep a strong balance between conscious and subconscious aspects of the mind. He is a teacher of spiritual origin, and someone who is trusted to give guidance he receives from being strongly connected to the sacred Source. When this card appears, it may be indicative of slowing down the number five energy, because there is a current need to respect tradition or create your own. This is typically in a belief system or religious setting, but the intuition you receive from the card will speak closer to your own experience. The Hierophant represents a path to achieve higher consciousness, which is attained easily if adaptation to ancient and proven ritualistic practices is utilized. The 5 is the epitome of dynamic and rebellious energy; one that signifies that inevitable change is always upon us… and it is best to be flexible in nature. By always being conscious to release fear-based thoughts, the power to be as adaptable as the number five is within us all.